On July 15, 2012 (Sunday) my company had a cooking workshop held in conjunction with the month of Ramadan at Restaurant Brisik Jaya One, Petaling Jaya, Selangor. 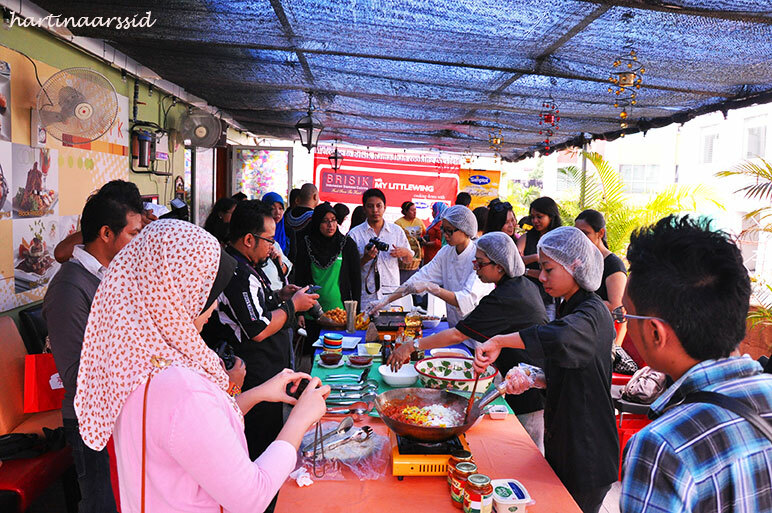 The cooking preview is sponsored by the AROMA magazine from Suri Media Sdn Bhd as the official magazine. Meanwhile, food products of the day was sponsored by Heinz and Simplot. By sponsoring this cooking workshop will give AROMA readers and bloggers the opportunity to learn Indonesia traditional cooking using Simplot potatoes Popcorn Hashbrown and Heinz products. Heinz famous for their iconic brands on five continents, Heinz provides delicious, nutritious and convenient foods for families in 200 countries around the world. In more than 50 of those countries, we enjoy the number-one or number-two market position. 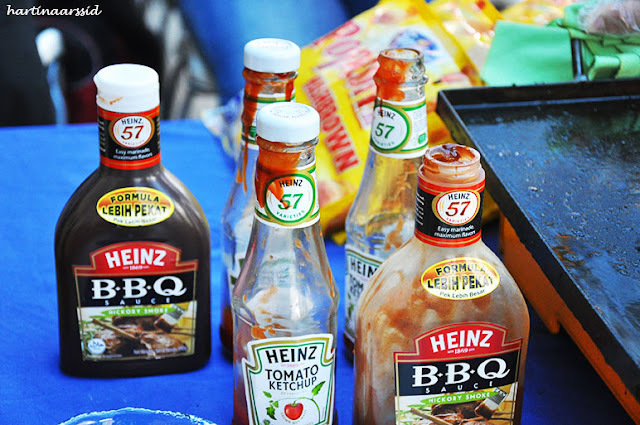 Key Heinz markets are segmented as North American Consumer Products, U.S. Foodservice, Europe, Asia Pacific and Rest of World. 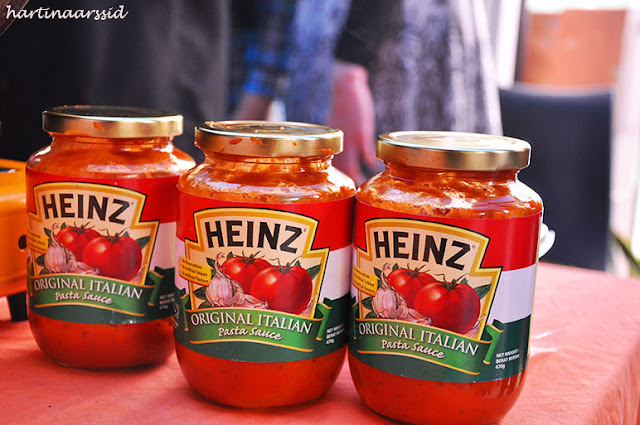 Their commitment to providing a variety of wholesome foods, with an unwavering emphasis on health and wellness, makes Heinz like no other company on earth. Beyond ketchup, Heinz also markets an ever-expanding selection of other great tasting foods. Our core products include ketchup, sauces, meals, snacks, and infant/nutrition. 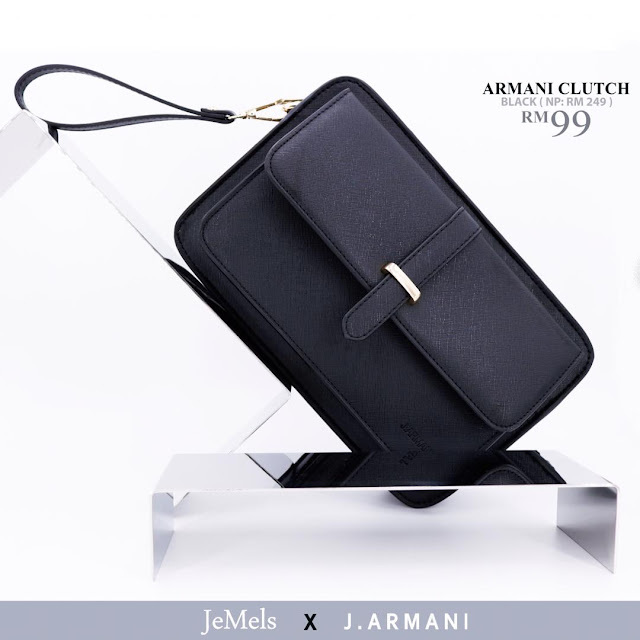 Among them are our 15 Power Brands, which comprise approximately 70% of our global sales. In short, Heinz is committed to enriching your family’s eating experience, whether you’re at home, dining out, or “on the go!” For further info feel free to browse Heinz website www.heinz.com. Starting with potato farming activities and has emerged as a most successful agro-business empire in the United States, JR Simplot, or better known as the Simplot in Malaysia. 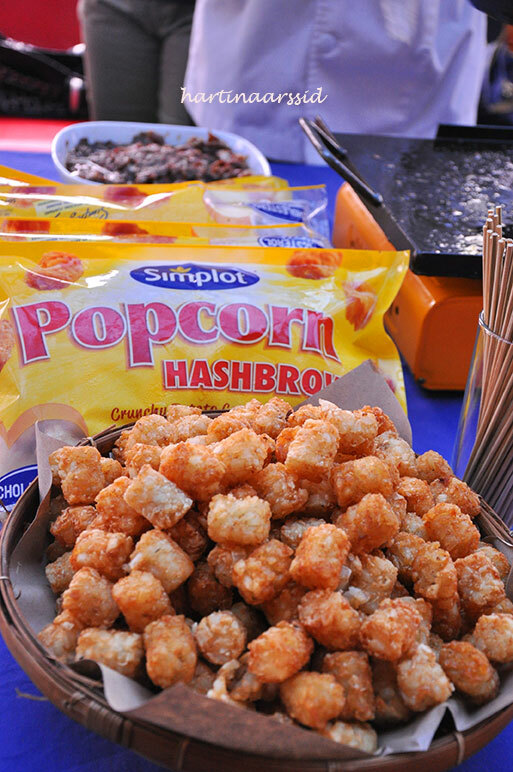 In line with the launch of its latest Simplot Simplot potatoes Hashbrown Popcorn. Hashbrowns and potatoes Harshbrown Popcorn is made from premium potatoes, no cholesterol, flavorings, preservatives and artificial coloring. It can be baked, fried or roasted and can be used as main dish or side. Simplot is an international food manufacturer. 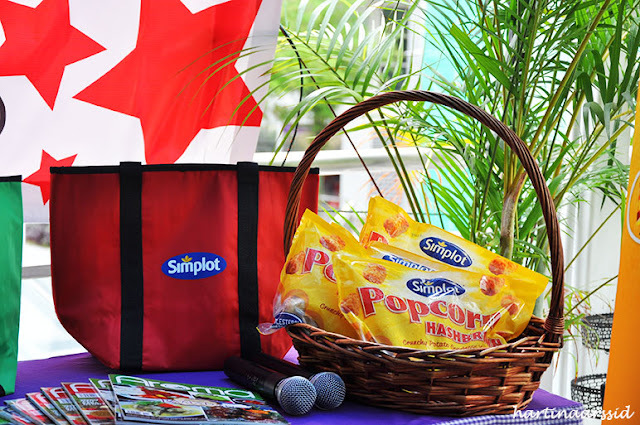 Among the Simplot product range is diverse, frozen potatoes, sauce and Leggo's tomato paste and canned foods. Simplot also the creator of frozen potatoes since the 1940s. Each product is guaranteed creation of high quality and tasty as Simplot always strive to ensure that only the best products for consumers. Deep fry small quantities of Popcorn Hashbrown in hot oil (180'C/350'F) for 2-3 minutes. Drain on absorbent paper before serving. Lightly cover base of pan with oil and heat to a medium heat (180'C/350'F). Cook Popcorn Hashbrown for 4-5 minutes, turning halfway. Place Popcorn Hashbrown in a single layer on baking tray and cook in a preheated oven at 230'C/450'F for 10-15 minutes, turning halfway. Place Popcorn Hashbrown on a baking tray and cook in a preheated oven at 230'C/450'F for 15-20 minutes, turning halfway. Wellknown for its Sundanese Cuisine where the food brought in to Malaysia from the land of Pasundan . ( Bandung , Jawa Tengah , Indonesia). 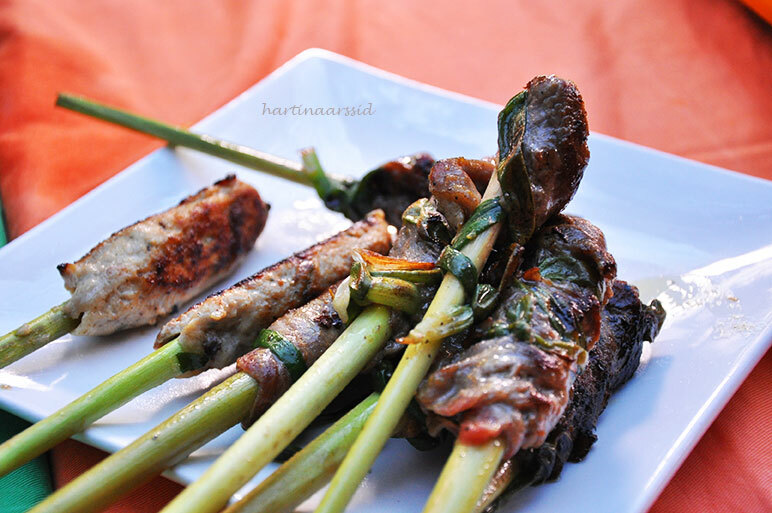 BRISIK are created with the mix background of Sunda and Siam and the food that serve at BRISIK restaurant are the basic home meal . 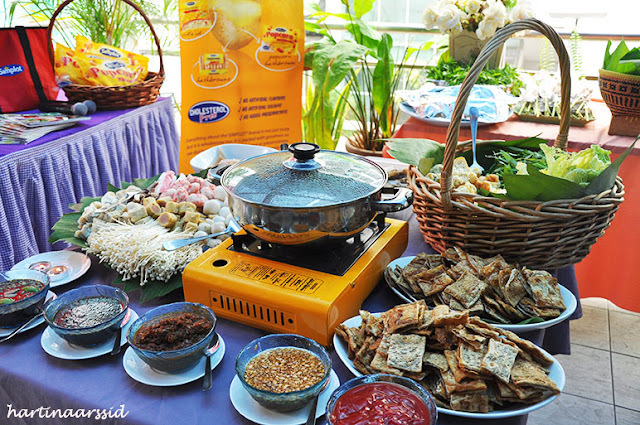 Siamese food are serve in a very spicy but tempting , where by u can find the sundanese food are serve slightly sweet and spicy , with the authentic mixer of the spice such as cekur , lengkuas , buah keras, serai and few more items , it really enhance the taste of mother kitchen cooking. 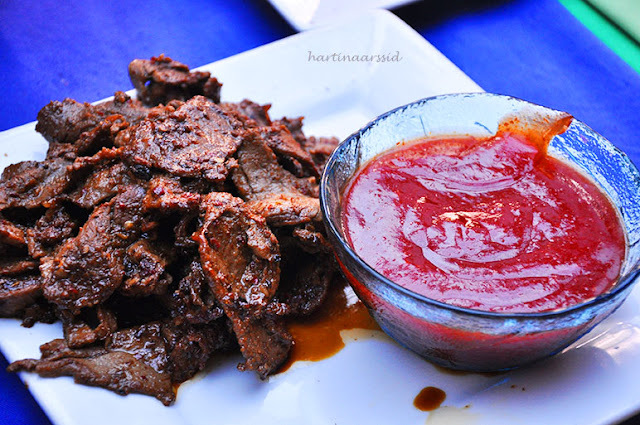 Most of BRISIK customer understand, they need to have little patient every time they step in the restaurant knowing that the chef will only start pounding the spice for what they had just order. 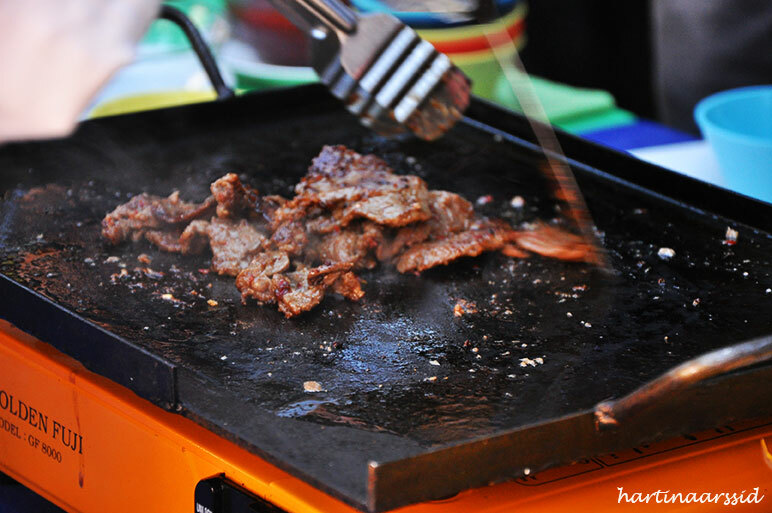 This way , Brisik can be sure the food serve fresh and hot to the table. It will take some time but it is worth waiting. 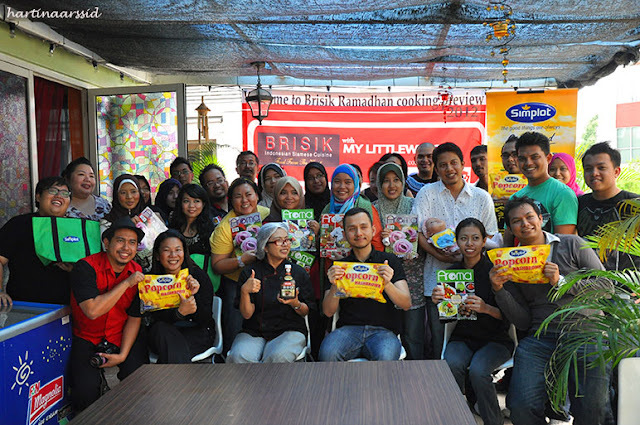 Most of Brisik customer walk out with smile . 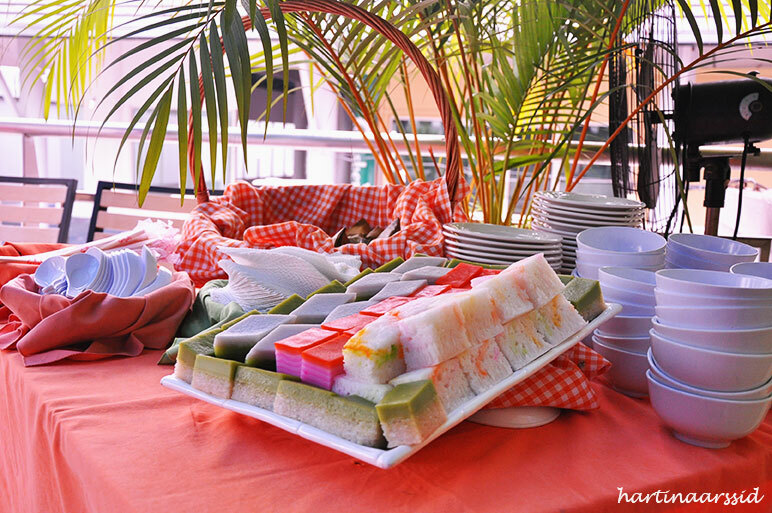 Brisik also do out door service such as catering from 35 pax to 1000 pax with 1 week earlier preparation. 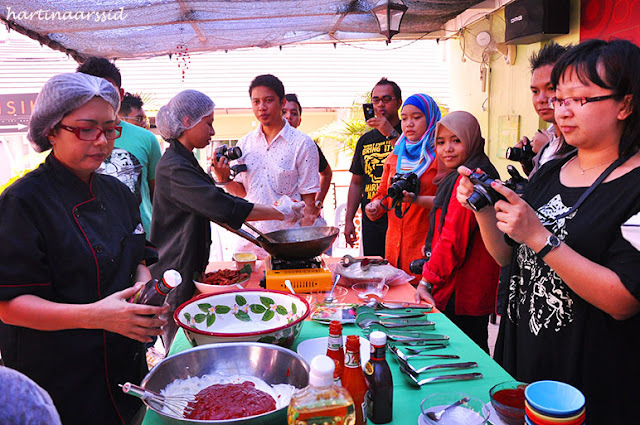 And for some company or individuals Brisik also do home chef , our chef can be call to your house or office to prepare and cook at your place for you to entertain your guests or clients at the maximum 12 pax or equivalent to 1 dinning table. 3 days earlier preparation are needed to smooth the operation. Tel : 03 79586681 H/P : 016 616 3666 / 012 257 6868 . 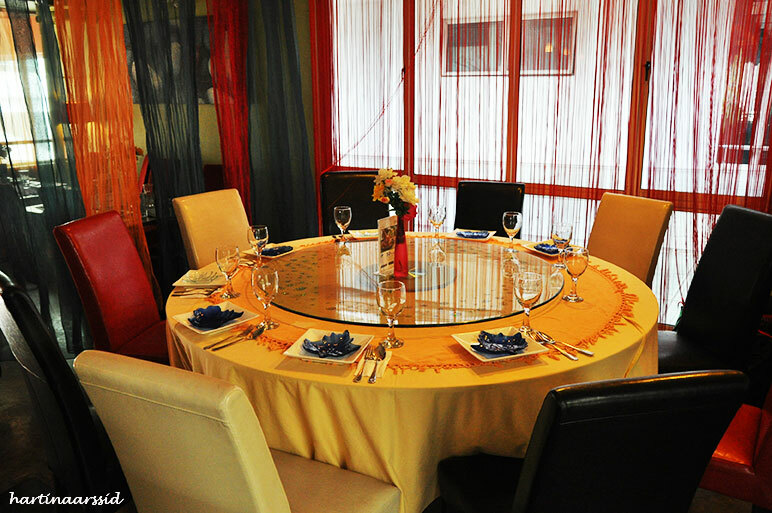 Famous : place for gathering / function / press conference / product launching etc. Also available : home chef service. Price from RM45.00 nett for adult and RM22.50 nett for children between 8yrs to 12 yrs. DESSERT : mixed kueh nyonya and etc. 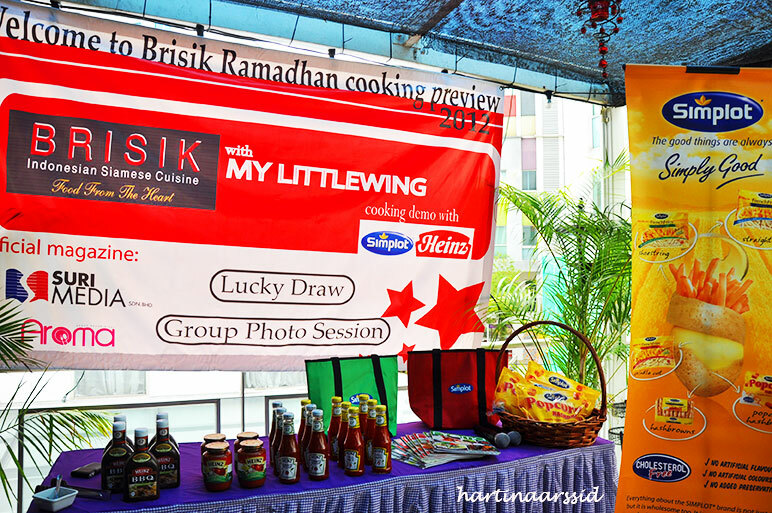 Thank you to all the bloggers, Brisik Restaurant, AROMA magazine as official magazine, Heinz and Simplot as product sponsor. Overall the event was succeed and very well done. jelesnya tak dapat pergi.. makanan dia sedap2 pulak tu. Kalau ada masa boleh jugak berbuka disana nanti..hehe. 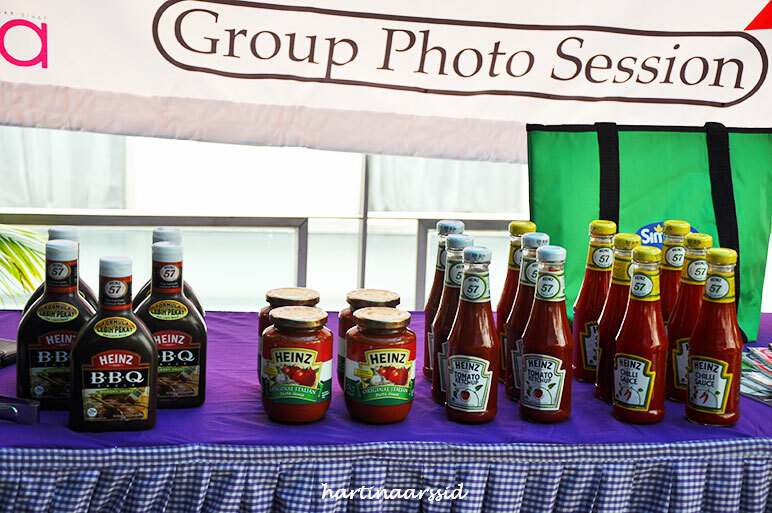 produk HEINZ memang best, pernah try pasta sauce dia memang terbaik! design dalaman restoran tu cantik la sis.. simple je. Aida Omar - Next time kalau free bole lah join yer. Brisik restoran tu memang cosy dan cantik interior dia kalau ada masa free pegilah berbuka puasa dengan family. Nath - Thanks for your comment. 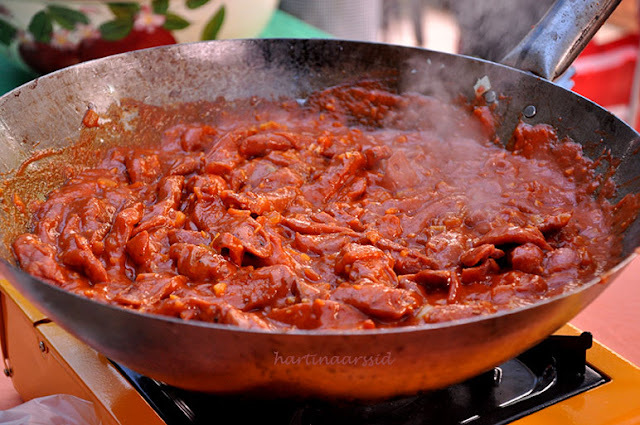 On that particular event Brisik chef only cooked Spaghetti mixed with sausage and pasta sauce. Cha - memang terbaik tempat nih if you nak berbuka puasa di Brisik memang high recommendation because menu dia memang sedap2.